1. 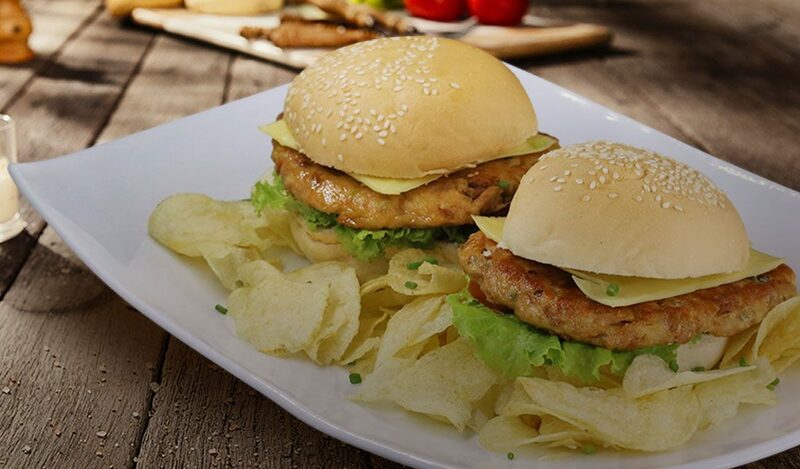 For the tuna burger patties, mix together the drained Mega Tuna Hot & Spicy, bread crumbs, beaten egg, chives, salt and pepper. 2. Mix them well then form the mixture in to 2 large patties. 3. Pan-fry the patties in a large saute pan with some oil over medium heat until it becomes golden brown. 4. Drain the excess oil on some paper towels. Assemble the burger with mayonnaise, lettuce and tomatoes. 5. Serve with chips on the side.